And since announcing her pregnancy, the brunette beauty also revealed some sad news – that she would no longer be appearing on Made In Chelsea after her baby is born. And while Ollie Locke’s best pal hasn’t really uncovered the reason why she’s left previously, she’s now unveiled exactly why she wanted to leave the popular reality show. 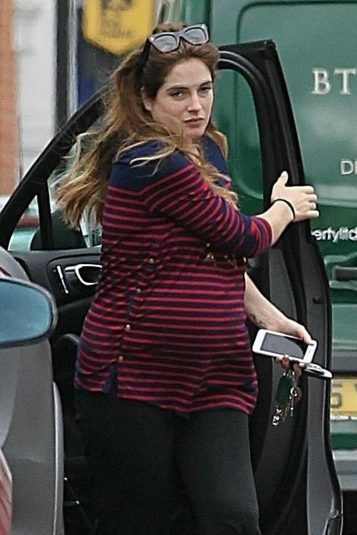 Binky recently took to Instagram to announce she would be leaving the show, shortly before her baby shower aired on the E4 show. "The baby shower was the best party!" she told the Daily Mail. "But it's not appropriate for me to be filming with younguns. Not full time anyway." The season has seen its fair share of drama – including relationship bust ups, arguments with pals and budding romances, to name just a few. And it was the consistent and wild antics that made Binky’s decision even easier. "That wouldn't be appropriate either," she said. "I have been staying out of the drama. It's not good for me, or for the baby. I just want to start nesting now!" Binky and JP have only recently rekindled their relationship, and were not a couple when the little one was conceived. However, now the cute duo are happier than ever – and couldn’t be more excited to welcome their daughter. "JP is being amazing," Binky added. "He has taken to the role instantly. This arrangement may not be conventional, but it works. It's actually better than marriage. Don't fix it if it's not broken. Long may it continue." And speaking about if there was any ‘couple competition’ on the show, Binky added: "There's no competition between me and JP, or with any of the other couples, like Louise [Thompson] and Ryan [Libbey]. All that "who's the best couple" is quite sad." "I'm not going to be doing dramatic things just to stay in the limelight. That's not for me. Also, I'm tired. I'm taking my foot off the pedal."